I use those G3s a lot - they're great for conferences etc. Good buy! Channel 38 is the one in the UK you need a licence for. Indeed. It used to be channel 69 (854-862MHz) that was the shared licence band, but they shifted it down to channel 38 in clearing 800MHz for yet more mobile bandwidth. Stick with channel 70 (863-865MHz, normally 4 interference free frequencies available) and you're licence exempt. 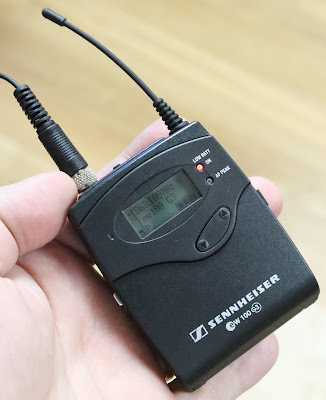 I'll agree that Sennheiser EW series are decent bits of kit, although I've only got G2's. Do Trantec still make reasonable-priced products? Correct name is a lavalier mic. As someone who works in PMSE, you are indeed okay in-between 863 and 865MHz. This is sometimes referred to as CH70, but it's not a full TV channels width. Until a few years ago most PMSE equipment was in CH69, which required a license to use. However we were moved out of that Channel to make way for 4G and the digital switchover. CH38 (606 - 613MHz) was allocated as a replacement for CH69, and use of frequencies in that range requires an license (Called a shared license, as use of the frequencies is on a first come - first serve basis). 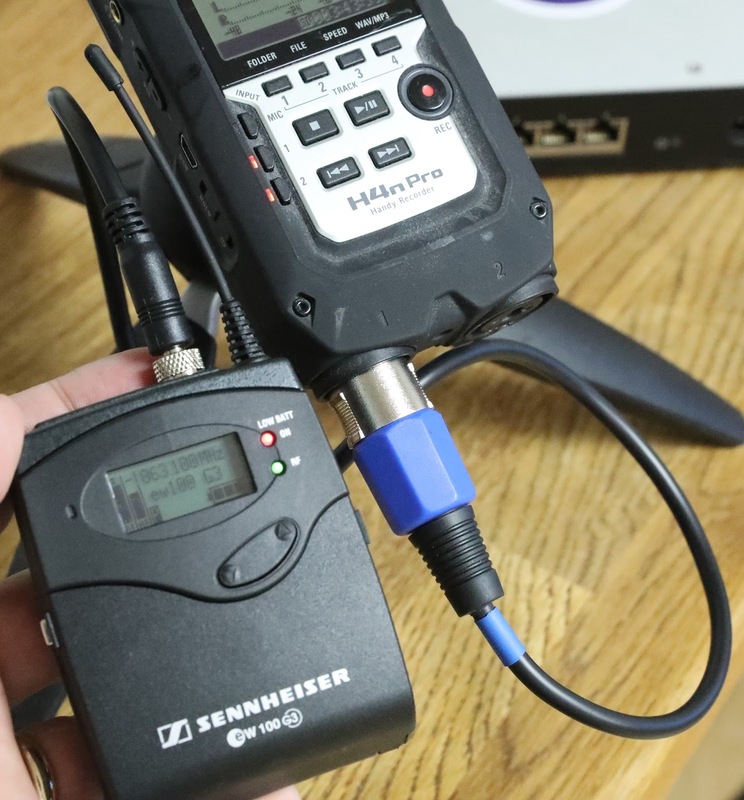 Sennheiser ME2 and G3 wireless is a good combo. These videos are great. So informative and good to watch. The production quality is becoming very professional... the transition at 1:04 is impressive and the audio quality is superb throughout! Please stick the mic cable up your shirt, jumper, jacket, whatever, for a more professional and discreet look. 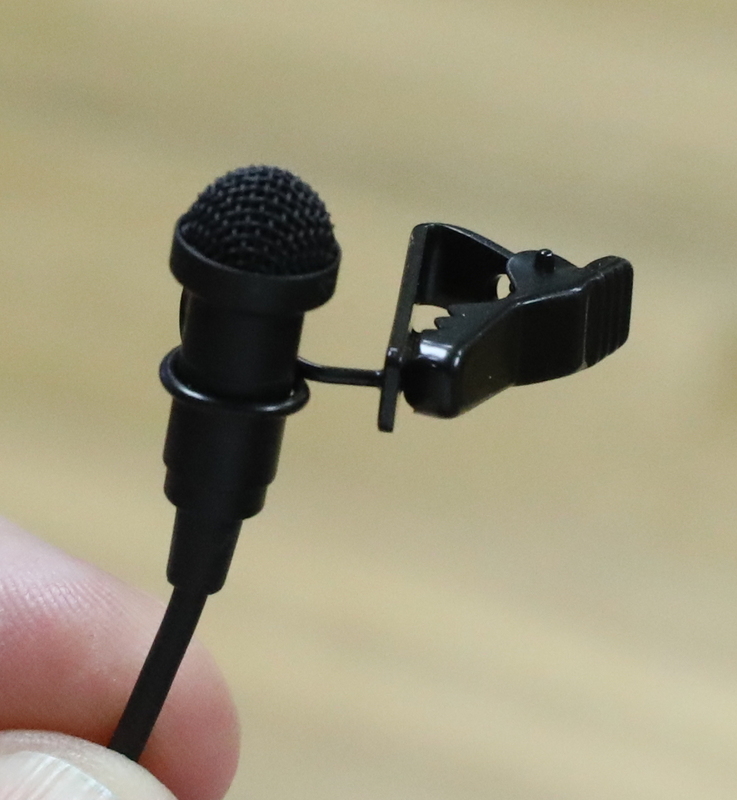 I would normally, but as I was doing videos actually about the mic I deliberately did not do so. So, next time. As a self taught audio buff (read ham radio) I often thought that your audio was a little to be desired, now it's excellent. Well done Adrian. I've done mine with a cheap BM-800 and a "fiftyquid" mixer, my advantage is nobody sees me on the Radio.